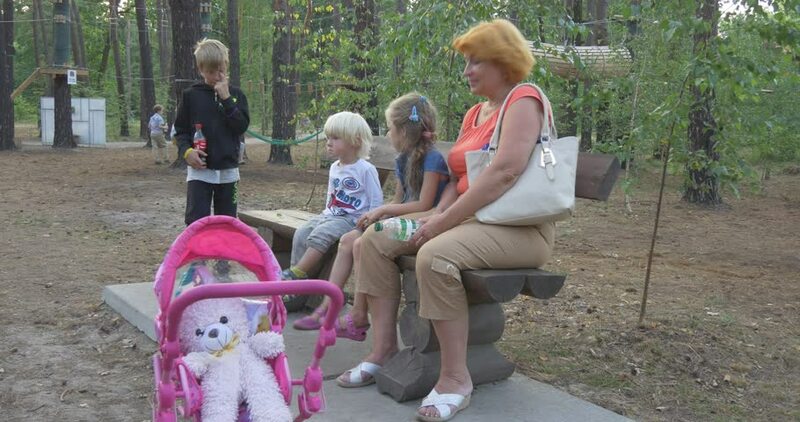 BUCHA/UKRAINE - JUL 19 2015: A woman and two little girls sit on a bench in a park, little boy approaches and takes one of the girls away, mid-shot, Ukraine. hd00:05Mother and two children sit on green chairs against grassy lawn. hd00:13Injury of the child. The child cries from pain. The sister calms younger sister.